Oregon has a healthy, growing solar industry in the U.S. with a total of over 100 megawatts of installed solar and over 148 solar companies. Photovoltaic system costs in the state dropped 9% in 2014 alone. 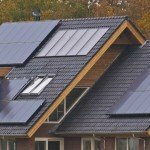 There is enough solar installed in Oregon to power over 11,000 homes. For a professional installer or sales rep looking to get into the industry, there is plenty of growth opportunity. To find out more about the specifics of solar companies and solar installations in Oregon, please visit the Solar Energy Industry Association’s website, www.seia.org/state-solar-policy.